An improved way to hide your microwave is through the microwave drawer. Instead of having a unit take up valuable counter space, a microwave drawer is aesthetically pleasing and places the unit under the counter. The microwave drawer runs on tracks that extend out, which allows you to pick up your dish in one quick move, rather than reaching up above the stove for a hot dish. This is great for kids who might not be tall enough to reach a microwave above the stove, as it brings the appliance closer to their level, and provides a way to lock unsupervised access. 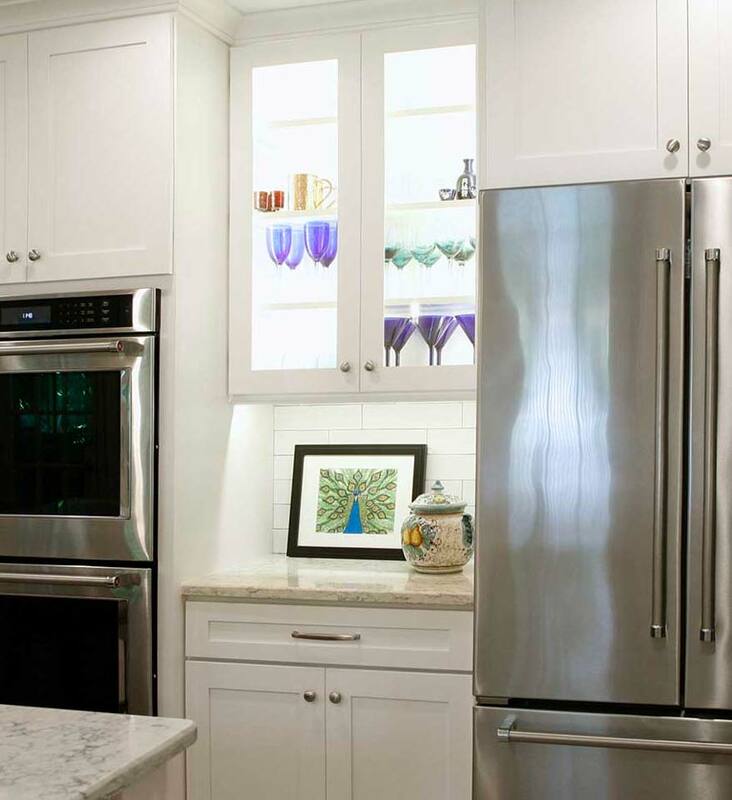 If your current refrigerator does not compliment the style of your kitchen, hidden appliances may be a trend for you to consider. Built-in appliances allow you to customize your refrigerator to match your surrounding cabinets by using custom panel inserts! 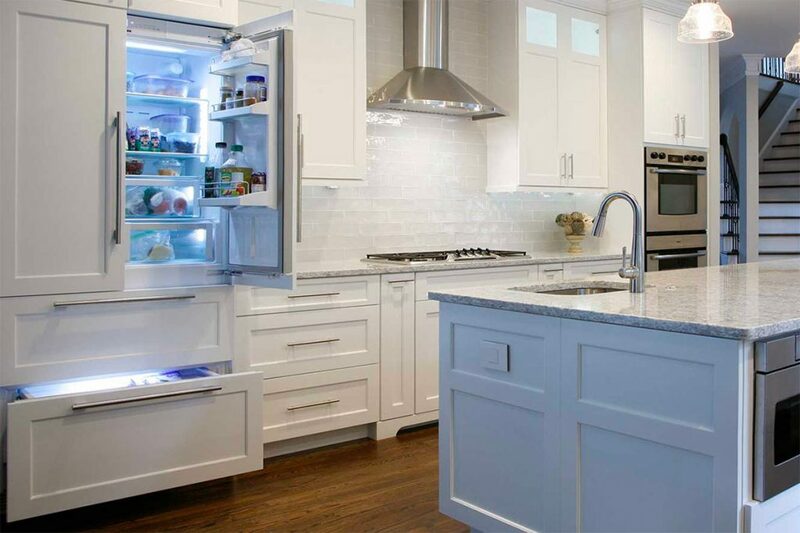 Whether you have a bottom-freezer and side-by-side configuration or separate refrigerator and freezer units, the objective of built-ins is to give you the option of utilizing front panels on your unit for a sleeker, custom look. You also have the option of a counter-depth model for your refrigerator unit. A counter-depth refrigerator will offer the same upscale built-in look without protruding 5-8 inches out from your cabinets. Counter-depth refrigerators come in bottom-freezer and side-by-side configurations, but they also allow for French door models to be utilized as well! More and more people are looking to transition their kitchen to either a more contemporary looking space or a modern farmhouse vibe, made popular by Fixer Upper star Joanna Gaines. A question that tends to pop up as you remodel is whether an updraft range hood or downdraft vent would be better for ventilating your kitchen. This all depends on your needs, kitchen space, and ultimately your preference. Updraft exhaust is the most effective for venting smoke, removing odors, and allowing particulates to follow the updraft into the vent. This will help in keeping your kitchen cleaner as well as venting more heat when cooking with gas, frying, or grilling. Additionally, the unique style of an updraft exhaust hood will provide your kitchen with its own sense of character and charm. Appliances are constantly changing as technology improves, and these are just a few options in the ever-expanding field. When you are revamping your kitchen, consider what investing in a few quality products will do to enhance not only your cooking but your overall kitchen experience. Don’t be afraid to step out and try something new and improved! We would love to help make your dreams become reality, because allowing us to help transform and revamp your kitchen space you’ll not only add more character to your home, but ultimately enrich your life in the process! 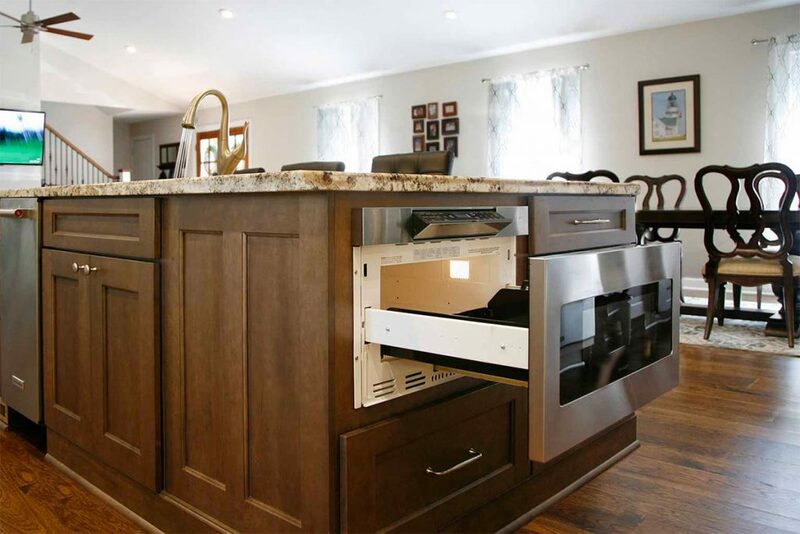 Considering remodeling your kitchen? 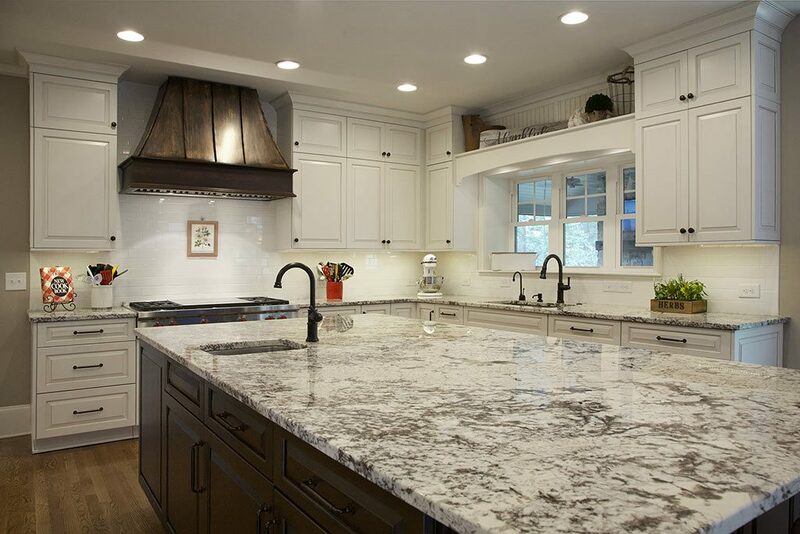 See our Kitchen Remodeling Services for info on how we can help you achieve the perfect kitchen for your home. The first step in getting your home organized is going through each individual room. Decide what is essential and what is just taking up space. Take this opportunity to start the deep cleaning you’ve been itching to do. As you purge, set limits on what to keep. An item not used for the past 12 months has gone through all four seasons. It’s time to toss it or donate it. Once you’ve finished purging, take stock of what storage you have and what new storage you might need for each room, both long-term and short. Now that you have decided on what items to keep, it’s time to categorize. Try to get an entire room done in one sweep. Completely clear out whatever space needs organizing and place items into their own separate storage containers. Open baskets or clear bins work well for this. Organization will demand a system of grouping, and the easiest options to base this on are “common use” and “occasion”. The things you use on a daily basis should be the easiest to access, so keep them somewhere eye-level, or at least in plain sight. Occasionally used items are better suited for high shelves, whether that be in-room, garage shelving, or in the attic. Finding a place for everything can be difficult, but incorporating built-Ins into the space inside walls, under stairs, and those awkwardly shaped corners can be great for storage. Built-ins can also add a nice accent to almost any room in your home, including your entryway. 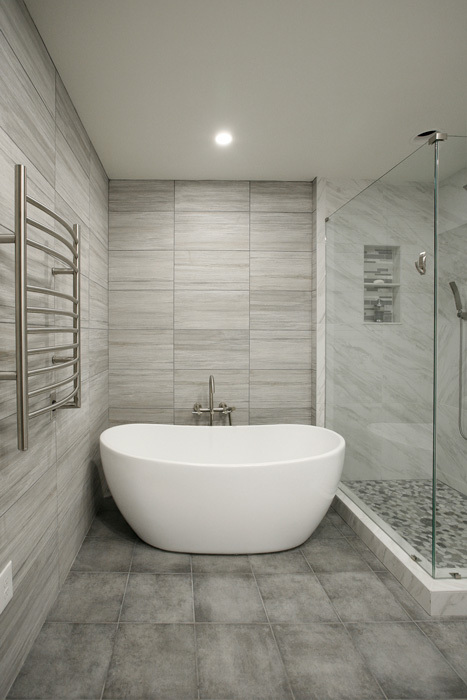 You will likely require some help from a contractor, but the order it brings to your life is well worth it. 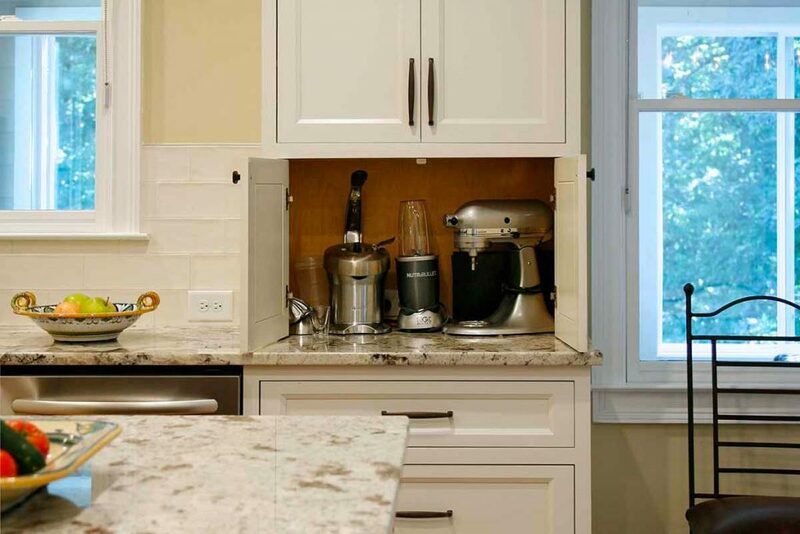 Within the kitchen, dead space often comes in the form of a corner cabinet, the very back of the pantry, or a seldom-used part of your countertop. 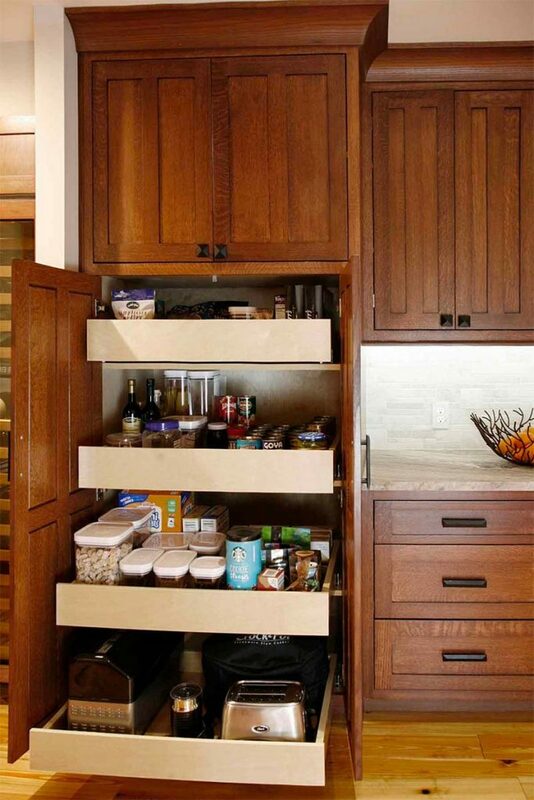 Products such as a lazy-susan style cabinets, pantry drawers, and pull-out spice racks can provide organization and easy access. 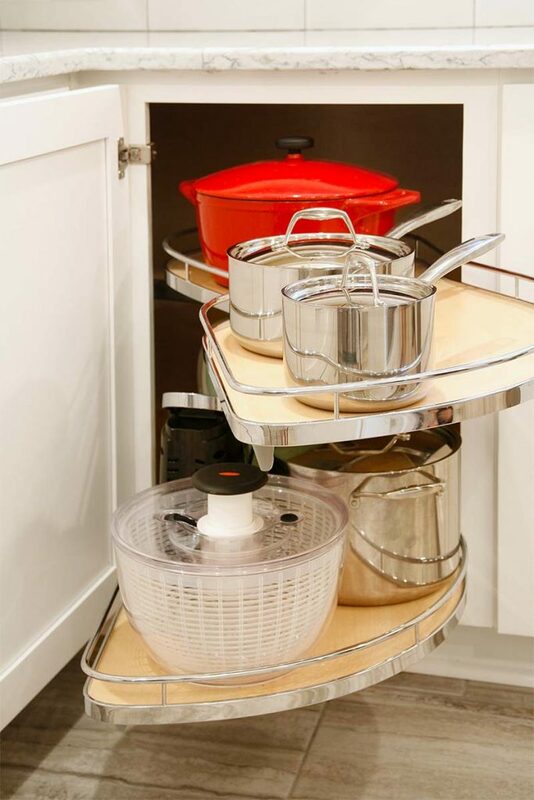 Adding a built-in appliance garage can give unused counter space purpose, while cookware and trash can drawers can keep everything orderly and out-of-site. Clutter has a way of creeping back in when we aren’t looking. Entryway tables, countertops, desks, kitchen tables, bedside tables, etc. Each one of these is a flat surface, a surface that seems to be a catch-all for whatever is in your hands. Consider what those items are–keys, mail, coats, bags–and make sure they have an appropriate place. When everything has a home, you can run through one-handed and be done cleaning up in less than 15 minutes. Take a little time to think about how the clutter got there and what habits you need to change. Creating a system for everything, from laundry to clearing your email inbox, can help keep the chaos at bay. If you’re not sure whether a room seems cluttered, take a picture so you can view it from different angles. This will help you determine what might look like clutter from a visitor’s point of view and give you a push to eliminate whatever looks disorganized. 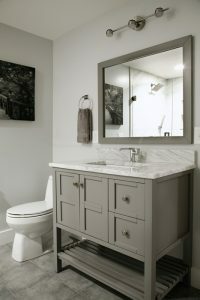 Atlanta Design & Build’s HOMEStyle System helps uncover long-term needs you may not have considered. Addressing issues such as storage from the beginning can help keep you organized. The kitchen is a central, multi-functional part of your home. It is the space where busy lives intersect, from weekly rituals of meal planning, meal-prep, and cooking to the sorting of the mail, random middle-school science experiments and the hosting of dinner parties. 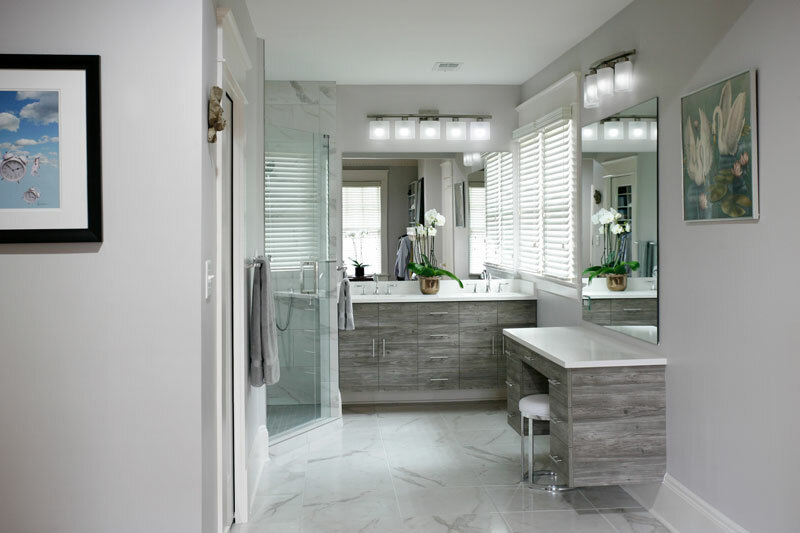 The right lighting in an area as versatile as the kitchen can be essential to the general atmosphere of the room, and that versatility calls for layers. A kitchen has the option of three different layers of lighting: ambient, task, and accent. Whether the kitchen is blessed with an abundance of natural lighting or lacking in the general window department, ambient lighting is a great way to cast the main source of light. Focus on the ceiling along the main kitchen areas; the higher and brighter you place the fixtures, the more light will fill the kitchen space. This will give a warm, casual glow to the space. General lighting options can range from recessed lighting along the ceiling to hanging chandeliers, flushmounts, or pendant lights. A kitchen is an active space; there are counters for preping food, a stovetop for cooking, cabinets to maintain storage needs, and maybe even an island for extra workspace. This tends to ask for a more direct lighting in certain areas. 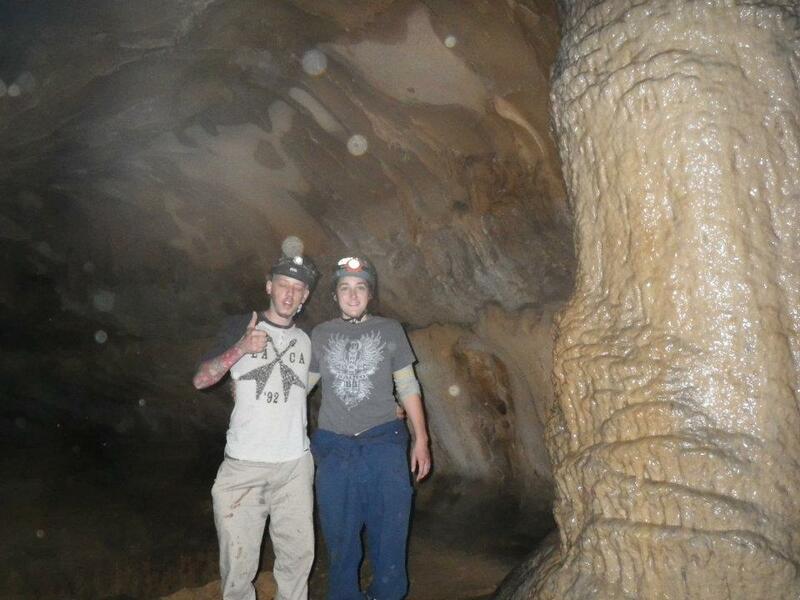 Here is where task lighting comes in. Cabinets have a tendency to create shadows along the counter space as natural lighting wanes throughout the day. Adding task lighting along the underside of the cabinets can solve the shadows on countertops and around the pathways in the kitchen. Common options call for the use of strip lights or evenly spaced puck lights. 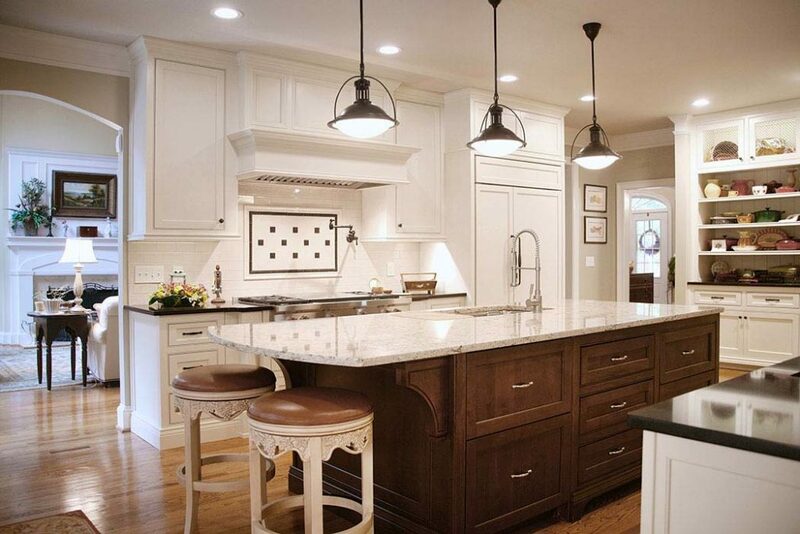 Accent lighting can help bring depth and creativity to your kitchen. Adding sconces to the walls or showcasing art with cleverly placed spotlights can create mood lighting in certain areas of the space. Thoughtfully placed lights inside a china cabinet can allure guests with the shine of your best dishes. 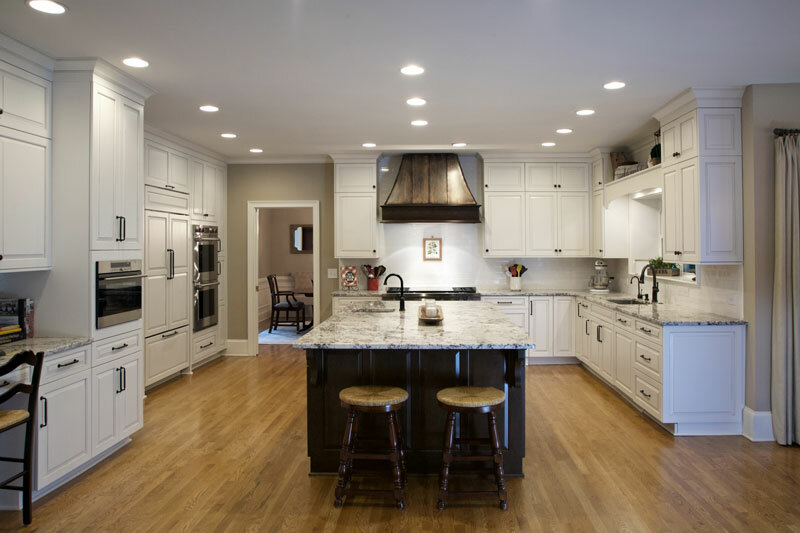 Toe kick lighting can be used around the prime lines and angles of the kitchen, whether that is under the lower cabinets along the kitchen or a centrally placed island. This can illuminate the kitchen floors in a warm glow that gives a welcoming feeling to guests or to the occasional late-night snacker. 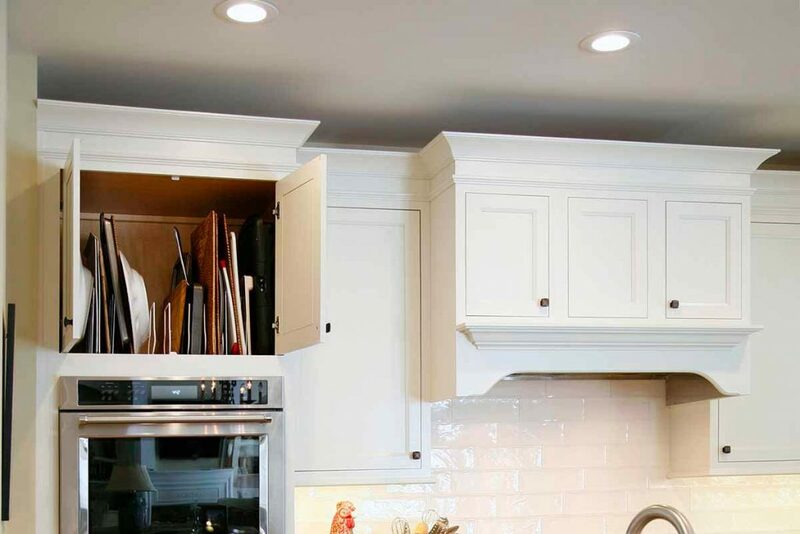 There is even the option of installing accent lighting along the insides of cabinets and drawers, which can brighten the darker corners of storage spaces. Lighting plays an important key in how you view and interact within the kitchen. By adding layers of different lighting throughout the space, you can create a different atmosphere for each and every occasion. Whether you overlay ambient lighting with task lighting, or accent lighting with a hint of ambient lighting, these layers of lighting will only add to the appeal of the kitchen. Check out our kitchen gallery for more examples of the right way to light a kitchen. 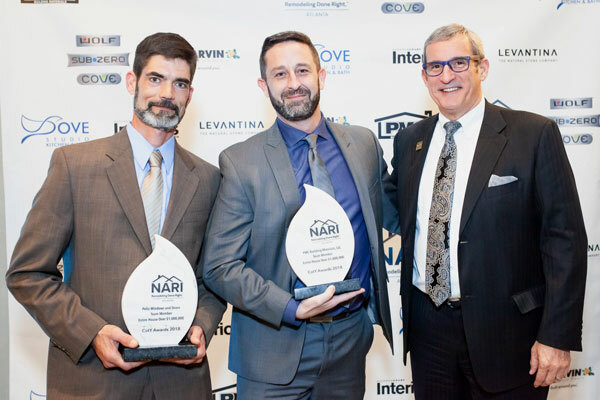 Atlanta Design & Build was honored to receive three 2018 Contractor of the Year (CotY) Awards from the National Association of the Remodeling Industry (NARI), Atlanta chapter. 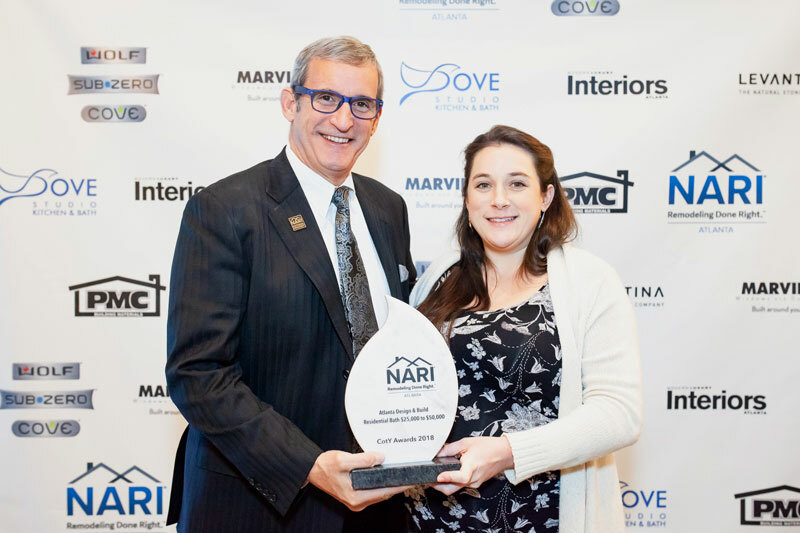 Each year, NARI-Atlanta members enter their completed projects in 29 residential remodeling categories. A diverse and impartial panel of judges selects the CotY winners based on select criteria for each category and recognizes the exceptional results of the projects entered with these prestigious Awards. This year’s elegant CotY Awards Gala took place on December 11, 2018 at the W Hotel in Atlanta with a sold-out attendance. Chip Wade, Emmy-winning HGTV personality and Atlanta native, was the guest emcee who made the evening special for everyone in attendance. We are so proud of the hard work our team puts in to each project we have the opportunity to transform. 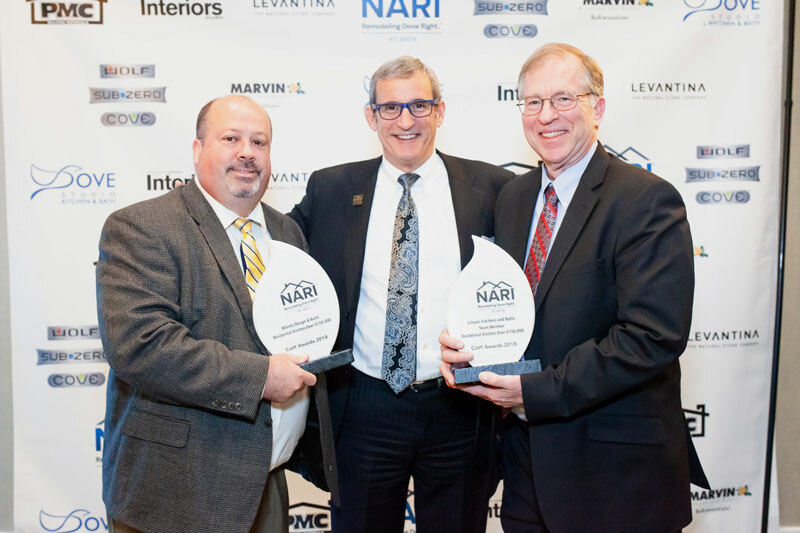 Contact us today about working together on your home remodel in 2019! Residential Bath $25,000 to $50,000. Read more about this project. Whole House over $1,000,000 with Team entrants Pella Southeast–Atlanta and PMC Building Materials. See all project aspects in this 4 part series transformation. Our client’s kitchen had fallen out of style and had a cramped feel. The homeowner wanted to impart a more stylish look keeping with the new homes being built near their neighborhood. The 1990s kitchen featured odd angles, limited cabinet space, inadequate work areas and congested walkways. The style was transformed with a large 54” x 108” Island, stunning granite countertops, new high-end appliances, superior Mouser cabinets, walk-in pantry, handcrafted copper exhaust hood, and custom garden window. 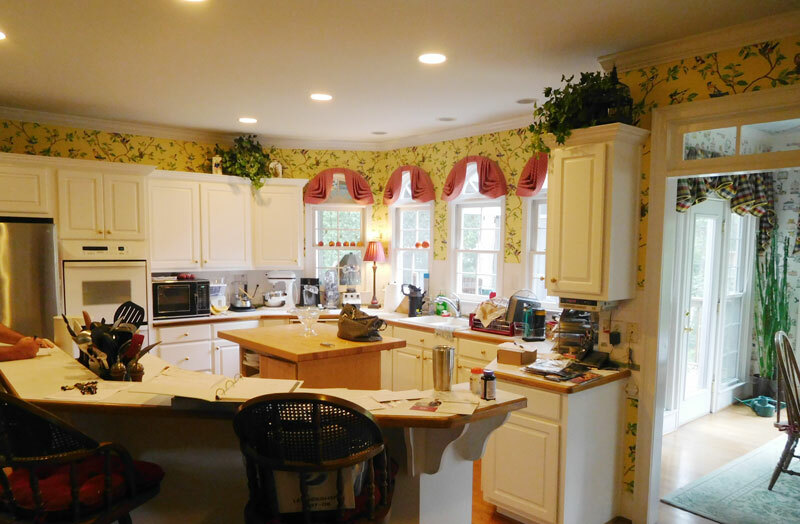 Removing walls transformed this kitchen into an open, inviting space with greater capacity for entertaining, better traffic flow, maximum storage and expanded work areas. 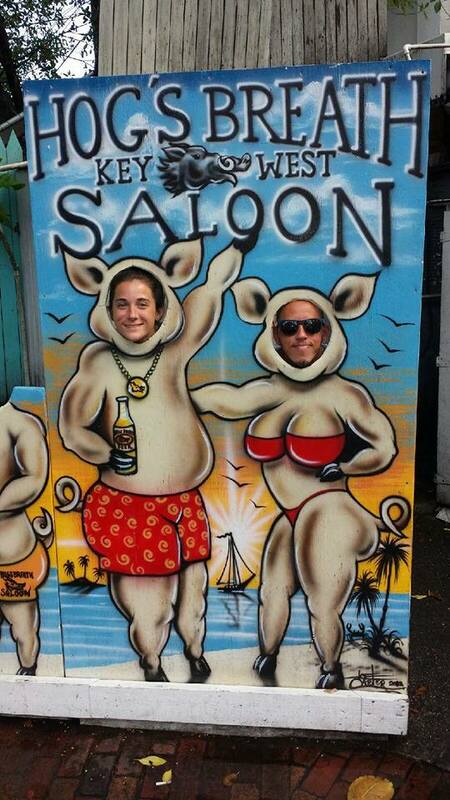 Atlanta Design & Build gives a hearty welcome to our newest employee, Caio Nunes. We are very pleased to have him on our ADB team! Caio (pronounced Kyle) is originally from Brazil. Construction has been his passion since childhood. 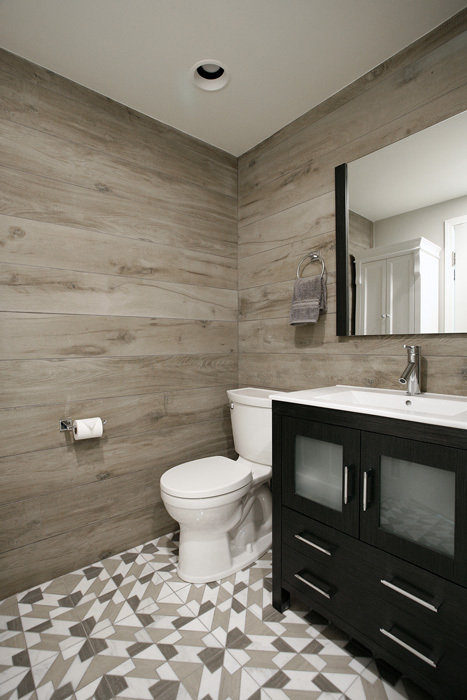 For the past 14 years, he has honed his skill and expertise working with hardwood flooring. Caio and Sydney Contant met through friends and have known each other for 10 -11 years, right around the time she started working for ADB. His quiet demeanor brings to mind the adage, “still waters run deep”. 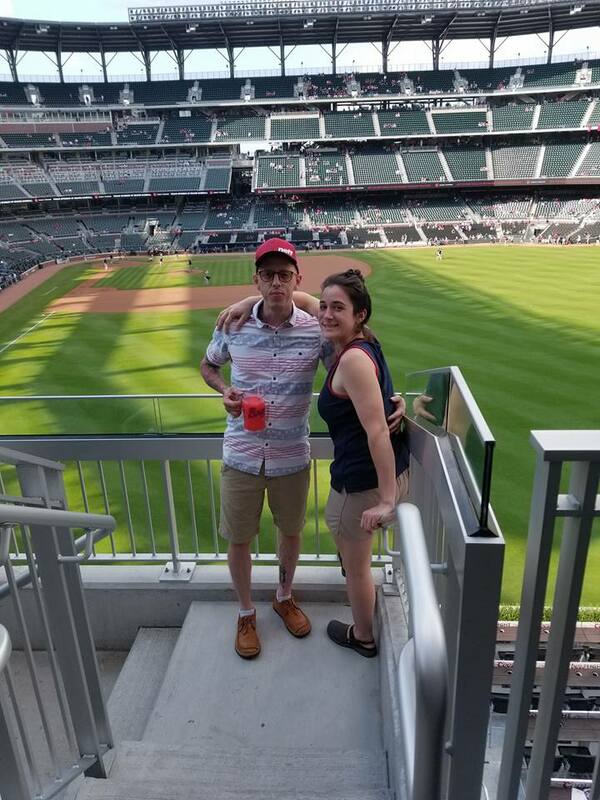 Sharing many common interests; sports, the outdoors, working with their hands and carpentry, to name just a few, their friendship continued to blossom culminating with their wedding in June, 2017. When ADB’s recent hiring need arose, we looked no further than our own backyard to find the needed team member. Caio appreciates the professionalism of ADB, and also likes the family environment. 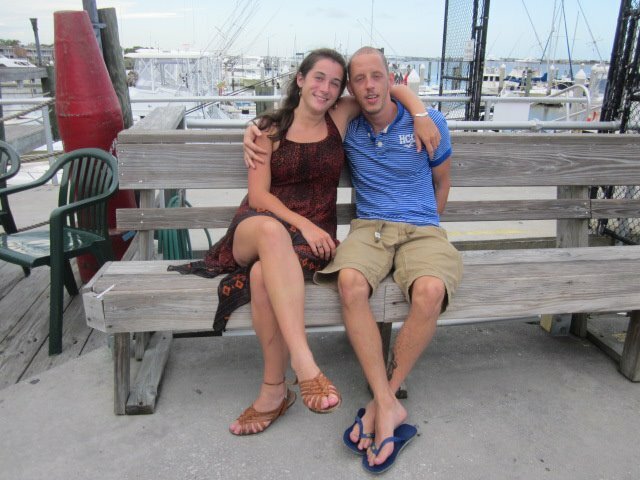 He notices that Dale Contant is very considerate of his workers and treats them like a part of his family. Outside of work, Caio still enjoys sports, and camping. 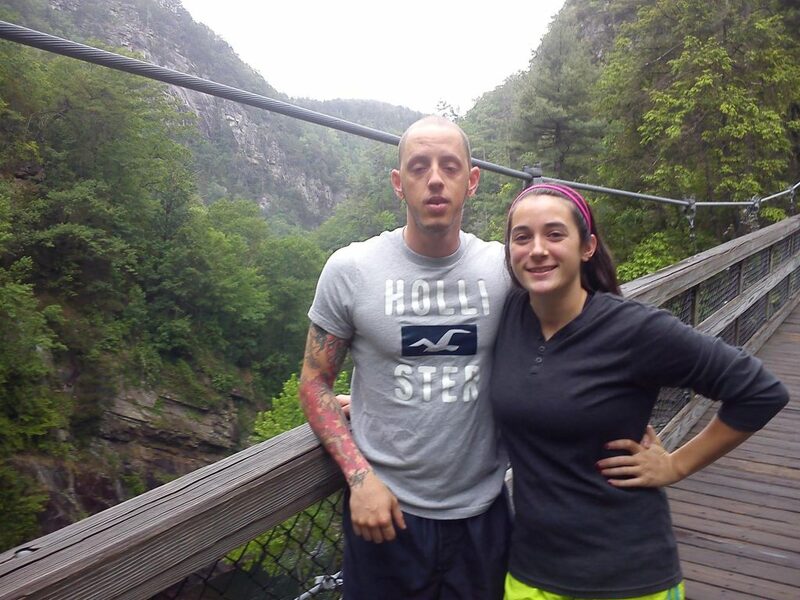 He especially enjoys spending time with Sydney. 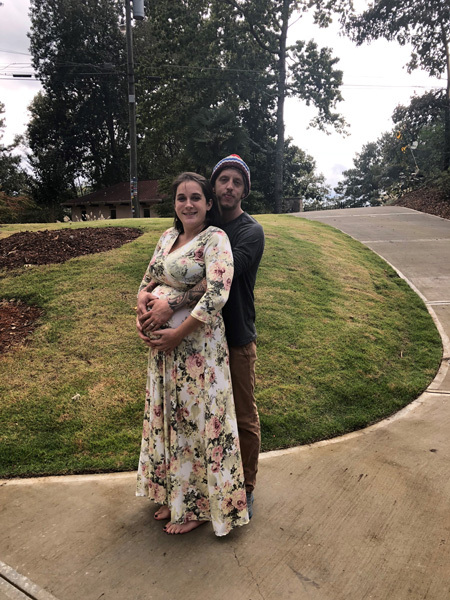 Having purchased their first home, Caio and Sydney Nunes are planning to raise chickens in their backyard. Even more exciting, they are now anticipating the arrival of their new baby boy. They are elated at becoming parents. Dale and Keely are also thrilled to be first-time grandparents. We look forward to sharing pictures in our January edition of our eNewsletter, HOMEStyle Online. 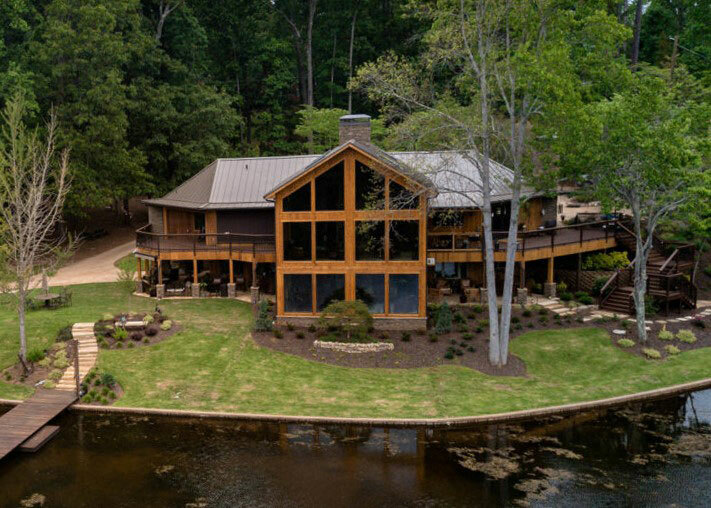 We have been featuring a stunning lake house project Atlanta Design & Build recently completed. 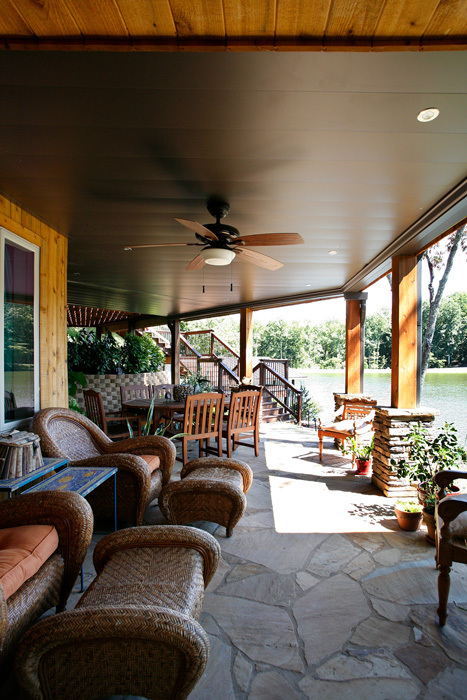 First, we focused on the dock and boathouse, and then on the home exterior. 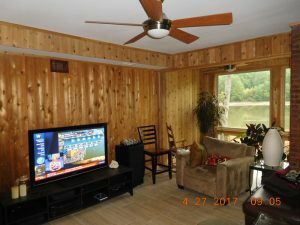 Part 3 gave you the pleasure of roaming inside the fabulous upper level of the home. We conclude the series here as we venture inside the terrace-level to share its incredible design metamorphosis. Originally, the terrace-level interiors were dark and offered very little living space. 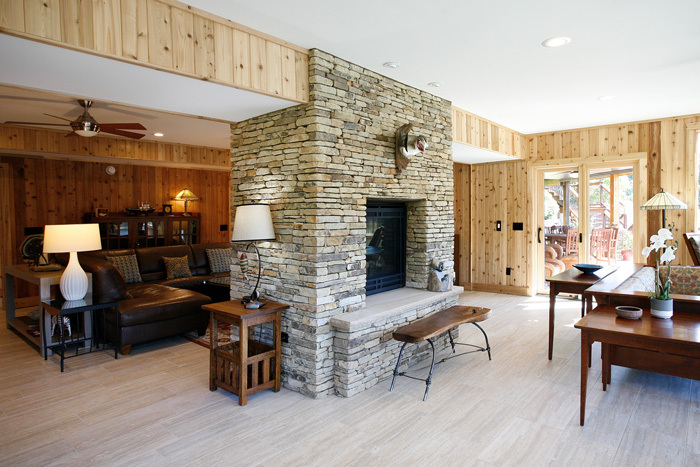 Our clients envisioned a large wide-open space with a welcoming fireplace in the middle, as in their upstairs. Our ADB team installed the biggest, open, double-sided direct vent fireplace available. 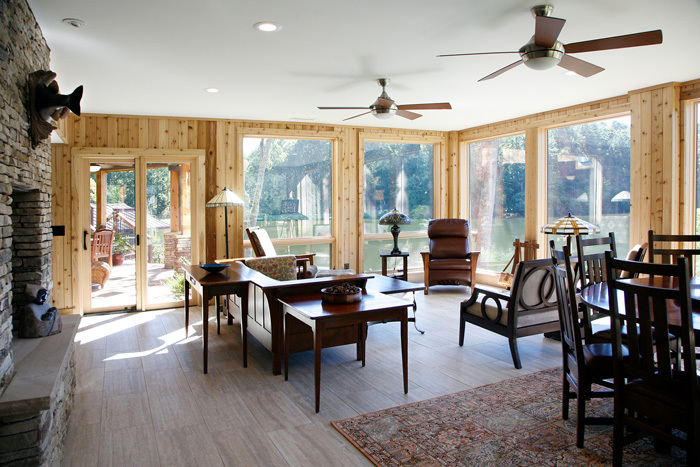 The sunroom addition provides the homeowners a bright space to work on art projects and other hobbies. It is the perfect location for the kids and grandkids to play, with simple, durable and easy-care finishing materials. Each of the two bathrooms are unique and beautiful with floors and walls of tile in a soothing earth-tone color scheme. This terrace-level interior, along with the adjacent outdoor patios, is the ultimate area for large-scale entertainment and hosting parties lakeside. 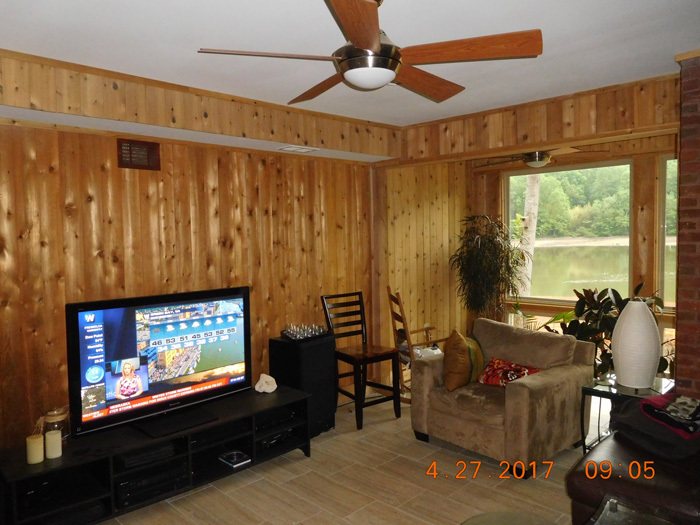 The extensive glass windows in the addition provide an abundance of light and a gorgeous panorama of the lake. Our team enlarged the concrete / flagstone patio, added an underdeck system, and stacked stone to posts creating an inviting and comfortable space for all. Our clients are thrilled with their finished project. “Atlanta Design & Build is an amazing company for doing extensive, complicated, design-intensive remodels!” they expressed. See the other project aspects like the dock and boathouse, and then the home exterior. Part 3 gives you the pleasure of roaming inside the fabulous upper level of the home.